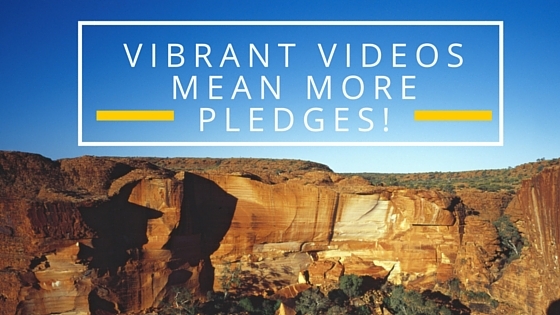 Vibrant videos mean more pledges! The three key aspects of any good video are to get yourself or a member of the project team in front of the camera, show people the project location, and have a strong call to action at the end. To do this, just go down to the project site, introduce yourself, talk about what you want to do with some energy and passion, and then ask people to pledge at the end, making sure to let them know it can’t happen without their support. The purpose of the video is to grab pledger attention so ideally it should be 2 minutes. So leave out unnecessary details – if they’re interested in these they can read the project description. Explain your plan in a way that is friendly and relatable, yet clearly and professionally. Briefly address the formalities such as council permission so viewers see you are going about the process properly. Speak will passion about why the project is so important to donate to. Try to have representatives in your video from each of your audience groups – when people see someone like them in the video they will feel an affinity and be more inclined to support. Use the project promoter throughout the video but also show case all types of supporters (e.g. children, elderly, local businesses, people of varying ethnicities, etc.). Seeing them all united over one cause is motivating and appealing to the bigger donors. The last third of your video should be dedicated to telling them not only to pledge, but also telling they exactly what their pledge will result in and how they pledge. Having spent a number of years in the Music industry, Hamish moved into the Tech space to work for a company specialising in financial education for children. 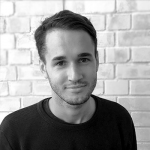 He joins Spacehive with experience in community management and will be working to ensure that Spacehive offers the best User Support it can.